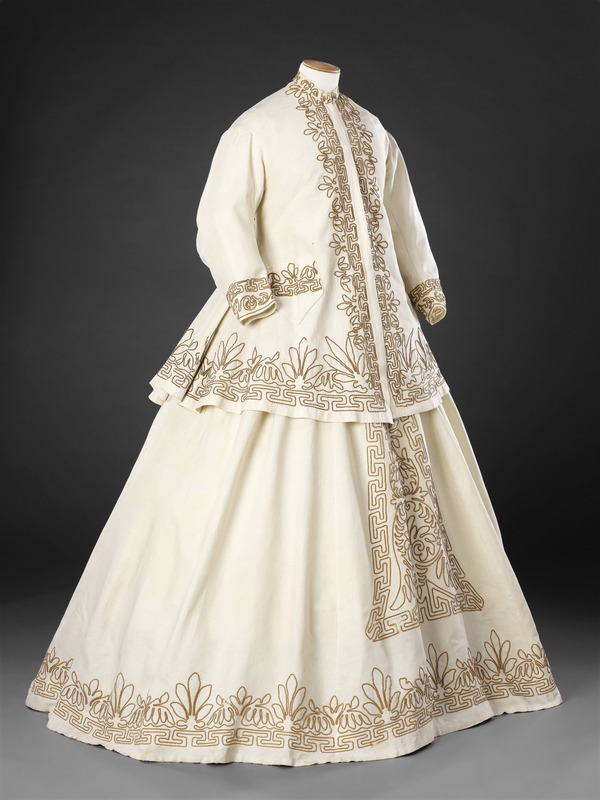 This two-piece summer dress comprises a paletot, a loose-fitting unwaisted jacket, and a full skirt worn over a wide crinoline cage. 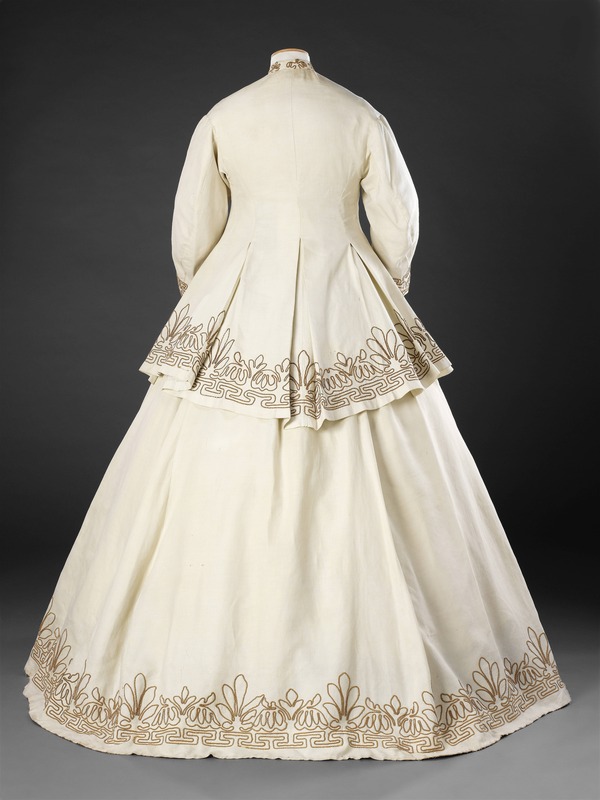 The combination, comfortable in its looseness, produced a voluminous silhouette. 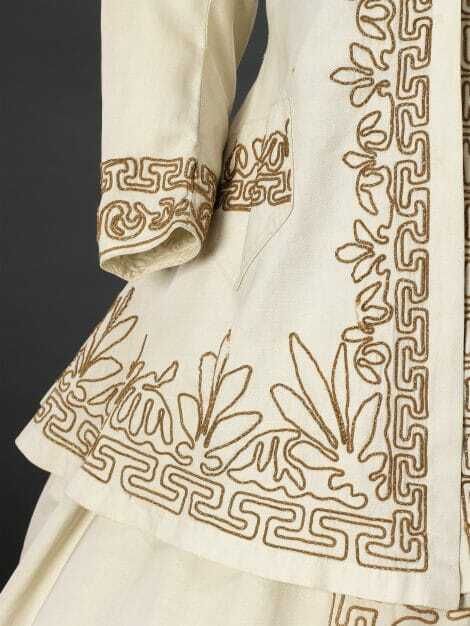 White cotton, often with a ribbed or honeycombed texture (as here), was a popular choice of fabric for summer dresses, setting off contrasting linear-patterned trimmings or borders designed to the shape of the garment. These might be executed in narrow braid, machine or hand embroidered, printed, or woven into the fabric. 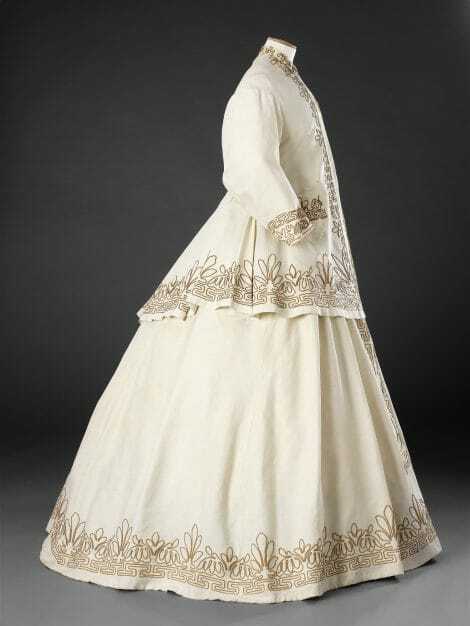 Very similar dresses can be seen in the paintings of Monet, Boudin and Tissot during the 1860s, worn by women relaxing in the garden, park or on the beach, and seeming to dominate their surrounding space. 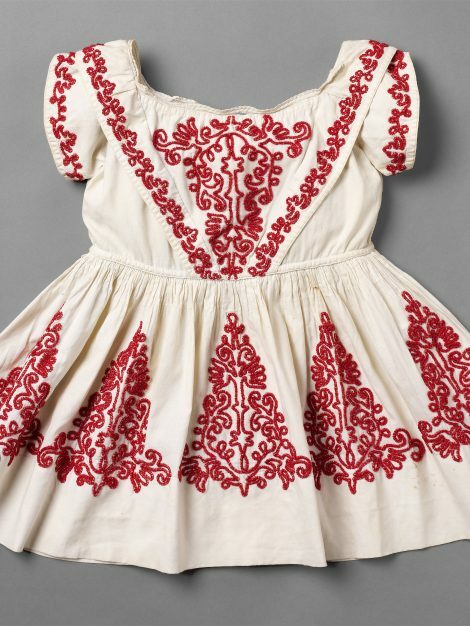 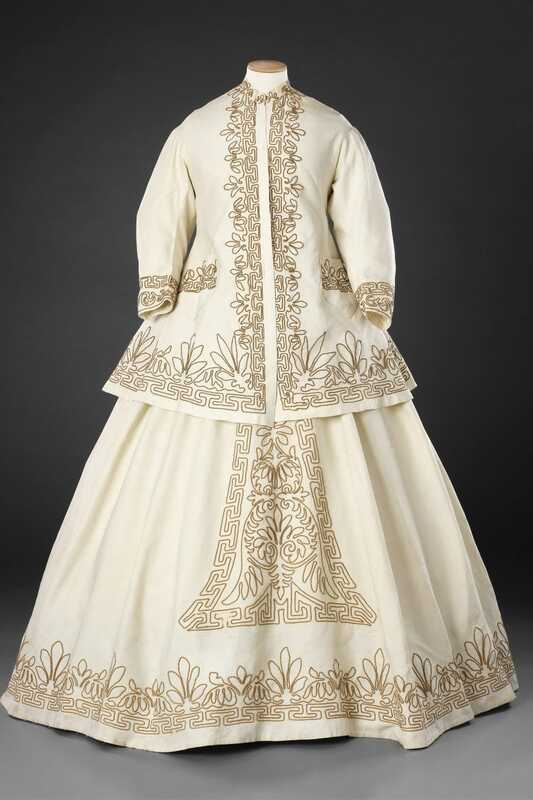 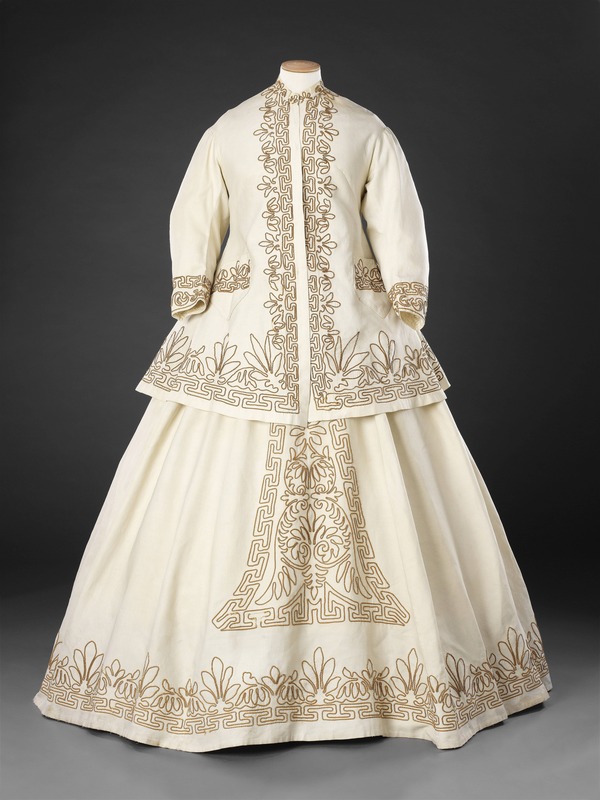 These styles were translated into children’s wear, as can be seen in the example of the ‘Related Items’ dress.